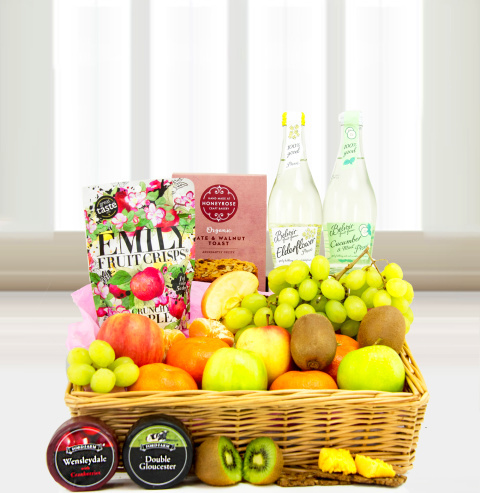 This alcohol free gift basket includes fresh fruit, juice, and various tasty treats that will make those taste buds sing. Professionally arranged and packaged for the perfect presentation. You can be sure that this gift will impress any lucky recipient for any occasion including birthdays, Mother&apos;s Day, and more!